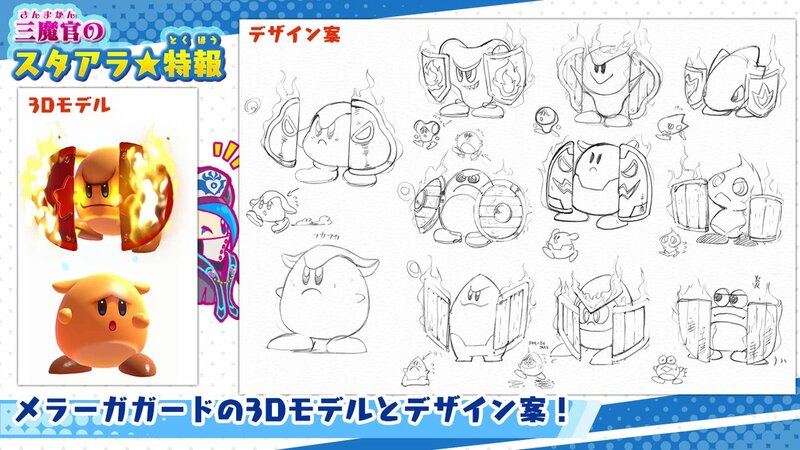 Nintendo and HAL Laboratory are still rolling out concept art for Kirby Star Allies. Our latest look at the game focuse on the game’s final art. Since this may fall into spoiler territory for some, we’ve posted the art after the break. 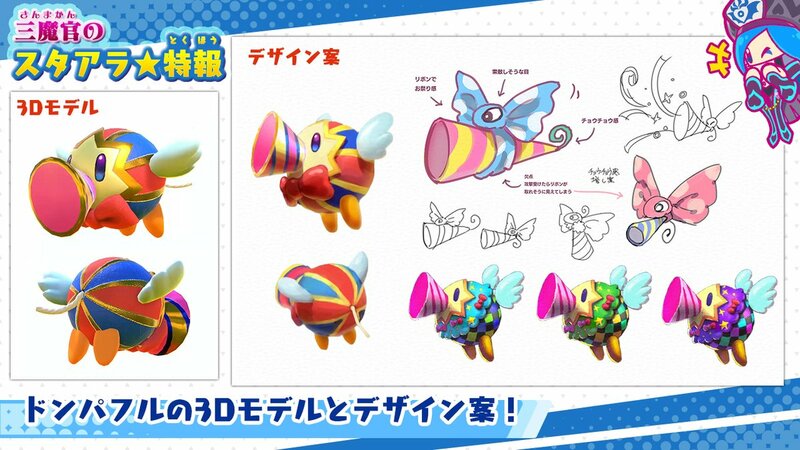 Nintendo and HAL Laboratory have sent out another round of concept art for Kirby Star Allies. 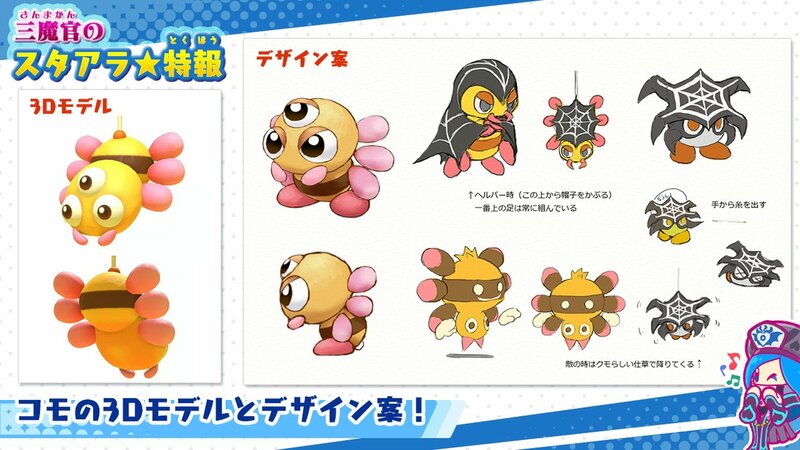 The latest images feature Donpuff, Como, Anger Masker, and Sizzle Guard. 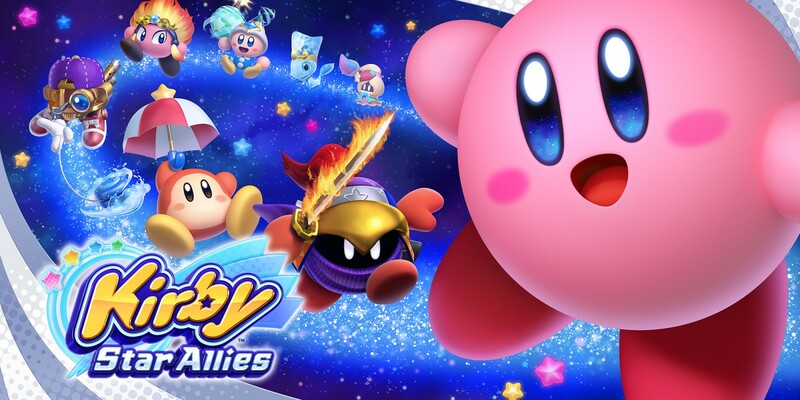 Kotaku published a new piece on Kirby Star Allies today with HAL Laboratory’s chief creator, Shinya Kumazaki. Kumazaki revealed some of the DLC characters that didn’t make it in and why, addressed criticisms that the game was lacking content at launch, and more. We’ve rounded up some of the notable comments from the interview below. You can find Kotaku’s full piece here. 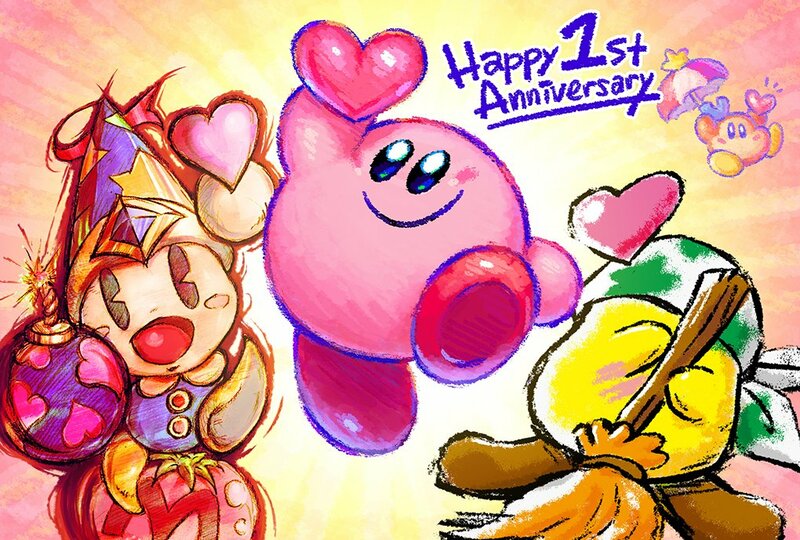 Kirby Star Allies is celebrating its first anniversary. 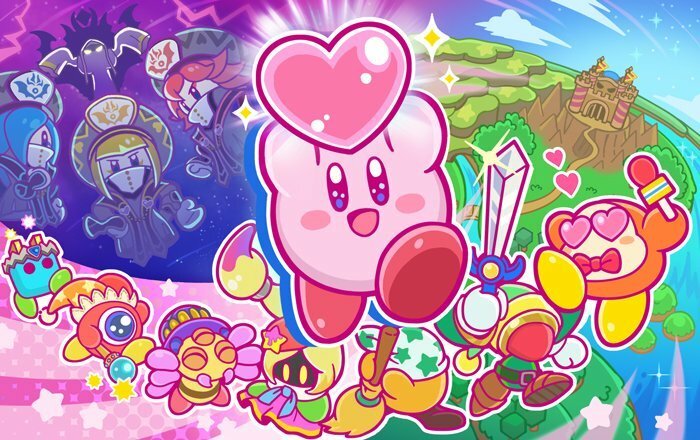 In honor of the occasion, Nintendo and HAL Laboratory have prepared a special piece of art. We’ve included it above. 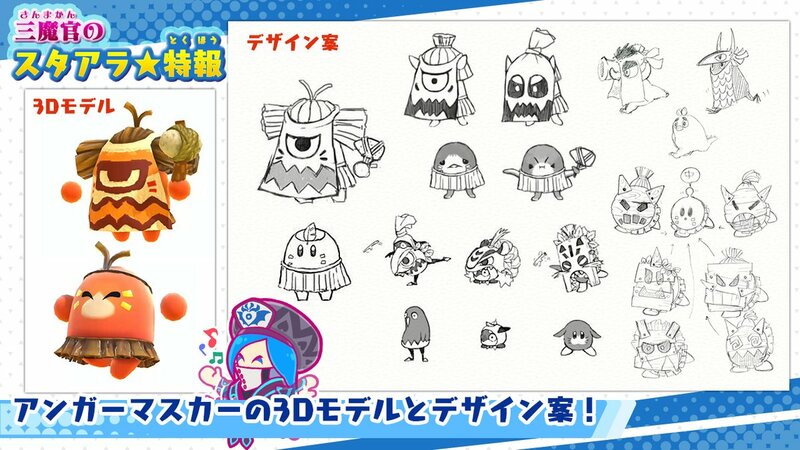 Developer HAL Laboratory has shared some new concept art for Kirby Star Allies, this time focusing on bosses from the recent Heroes from Another Dimension mode. 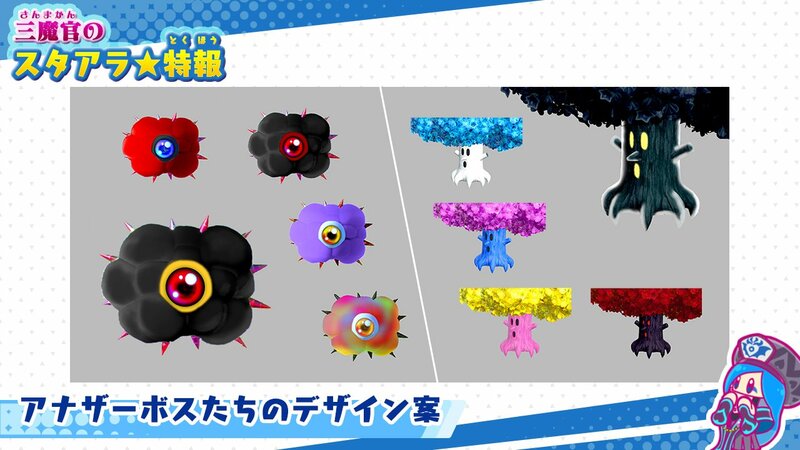 A multitude of varying color patterns can be seen for each boss, in addition to the final design for each. Additional designs can be viewed below. 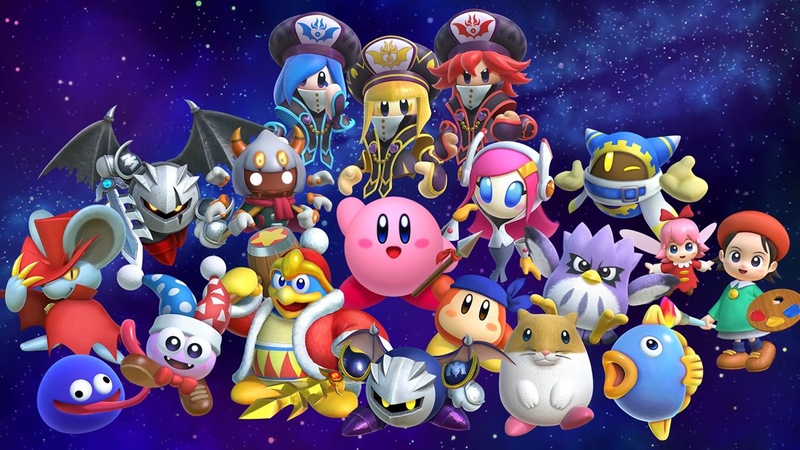 Kirby Star Allies was recently given its third and final update. In a news post this week, director Shinya Kumazaki shared a few secrets implemented that players may not be aware of. Kumazaki also goes over some impressive statistics concerning the amount of content that has been added over the past few months. 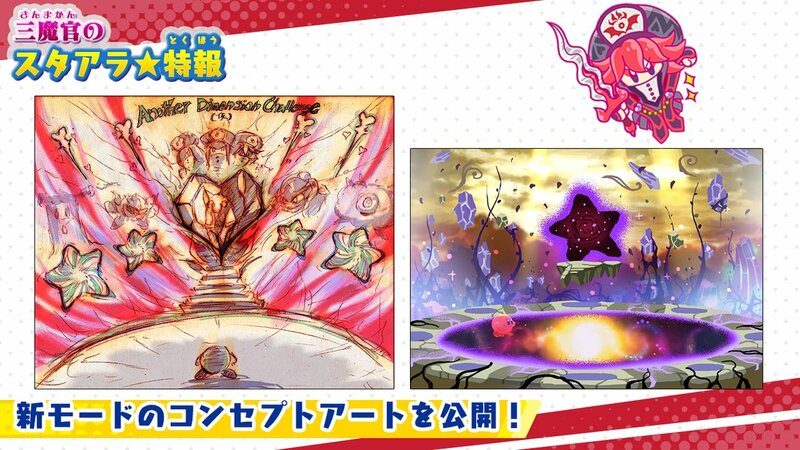 A new trailer has come online for the Kirby Star Allies soundtrack. We’ve included the video below. 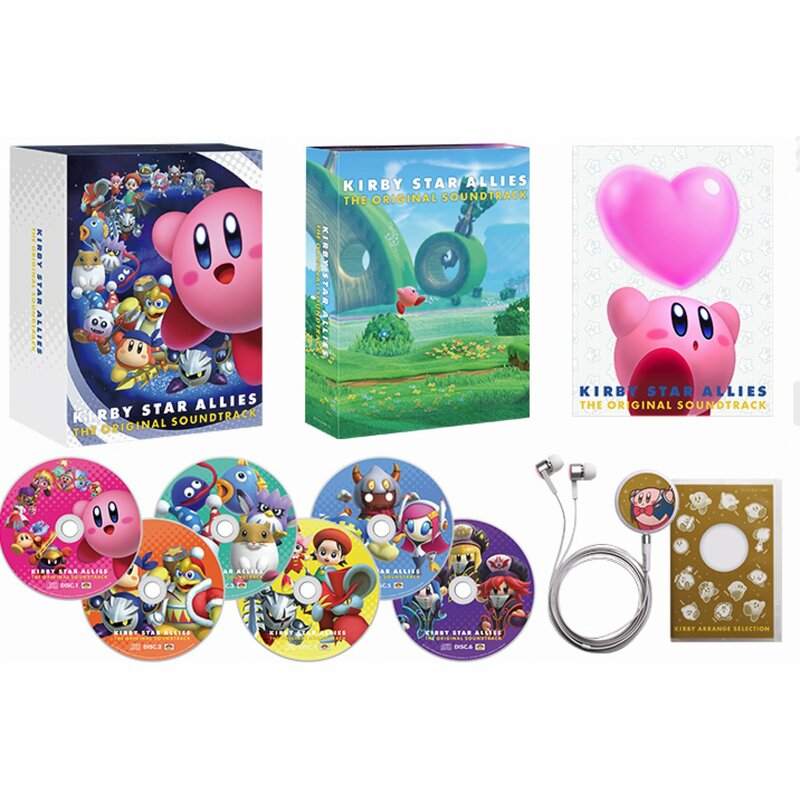 Play-Asia is taking pre-orders for the Kirby Star Allies soundtrack here. A release is planned for February in Japan.